Pricing is something so common and expected that it is almost an afterthought to most buyers – everyone knows they will have to pay for a good or service, it’s just a question of how much. However, when it comes to sellers, pricing can be much more involved than just sticking some numbers on your website and hoping for the best. Sure you can take that route, but you would be neglecting some serious psychological tips and best practices that have a history of improving sales. In an ideal world customers should be using your pricing page to make a decision. They should already know what your product is and how it can benefit them, but what they have to decide is if the cost matches the value. As we mentioned above, listing the cost is unavoidable, but assuming your price isn’t astronomically high compared to what they are expecting, there are tips you can utilize to optimize its appearance. What follows is a list of those tips complete with examples and explanations showing how they can influence the decision making process of your customers. 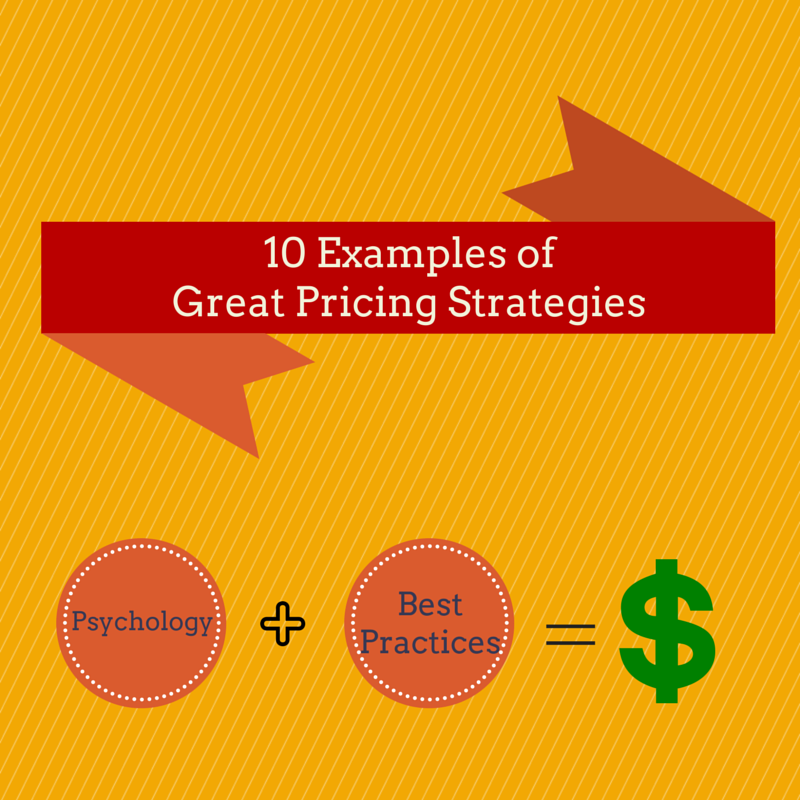 10 Examples of Great Pricing Strategies.